This new edition of a classic feminist book explains how one of the great historical revolutions - the ongoing movement toward equality between the sexes - has come about. Its origins are to be found, not in changing ideas, but in the economic developments that have made women's labour too valuable to be spent exclusively in domestic pursuits. The revolution is unfinished; new arrangements are needed to fight still-prevalent discrimination in the workplace, to achieve a more just sharing of housework and childcare between women and men, and, with the weakening of the institution of marriage, to re-erect a firm economic basis for the raising of children. Bergmann, B. (Ed. 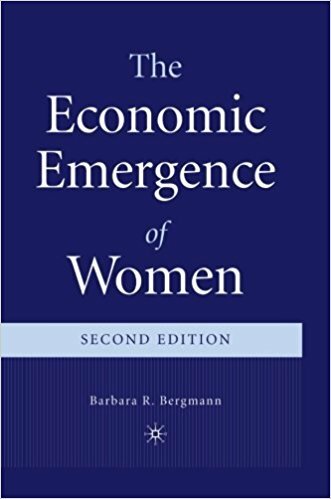 ), “The Economic Emergence of Women,” Curadoria Enap, acesso em 19 de abril de 2019, https://exposicao.enap.gov.br/items/show/60.